Mrs Saoud Aldelaimi of Iraqi background is undertaking work experience at AMRC Crèche for over a month. 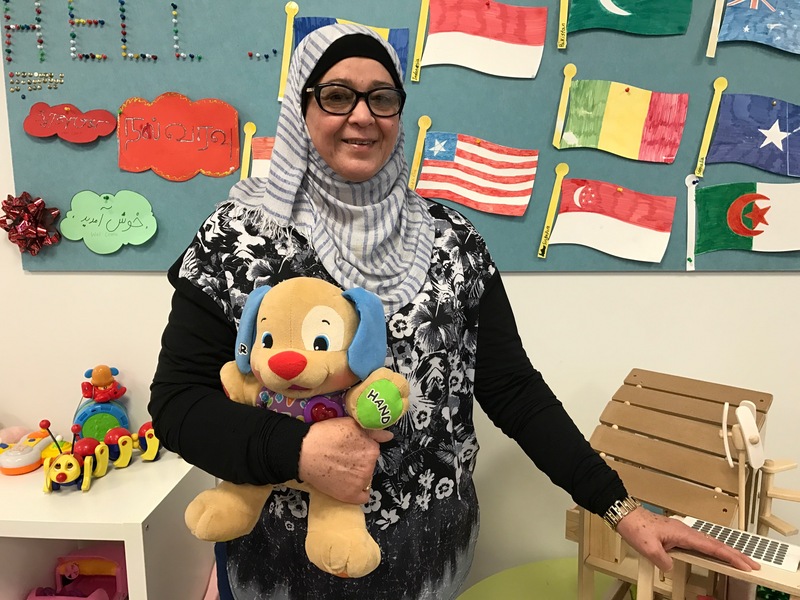 Mrs Aldelaimi, who has completed Certificate III in English Proficiency, and is currently undertaking a Diploma in Early Childhood Education and Care, shared that: “I am well supported at the AMRC and I want to inspire other women in particular in our community to also engage in training, work experience and employment.” During crèche, Mrs Aldelaimi is able to assist in educating Arabic-speaking women on the Australian childcare system and various parenting topics such as nutrition, school and hygiene. 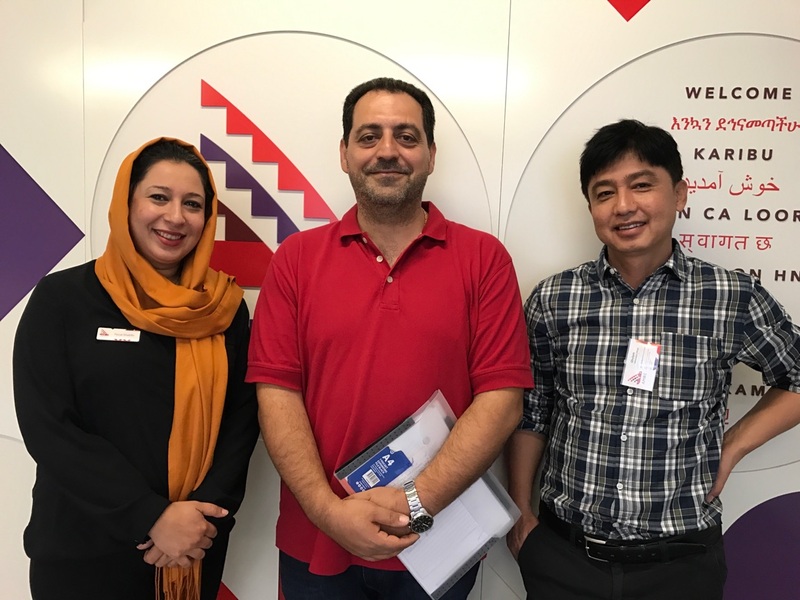 Tony Al-Bechara of Syrian background, who was employed as a workshop manager at Audi Volkswagen in the Middle East, was able to enhance his verbal and customer service skills, and received support in reconstructing his résumé to cater for Australian workplaces. Mr Al-Bechara expressed that: “The AMRC provided me with real work experience and I couldn’t have asked for a better job experience.” Since completing his placement, Tony has secured a full-time position at Volkswagen in Victoria. 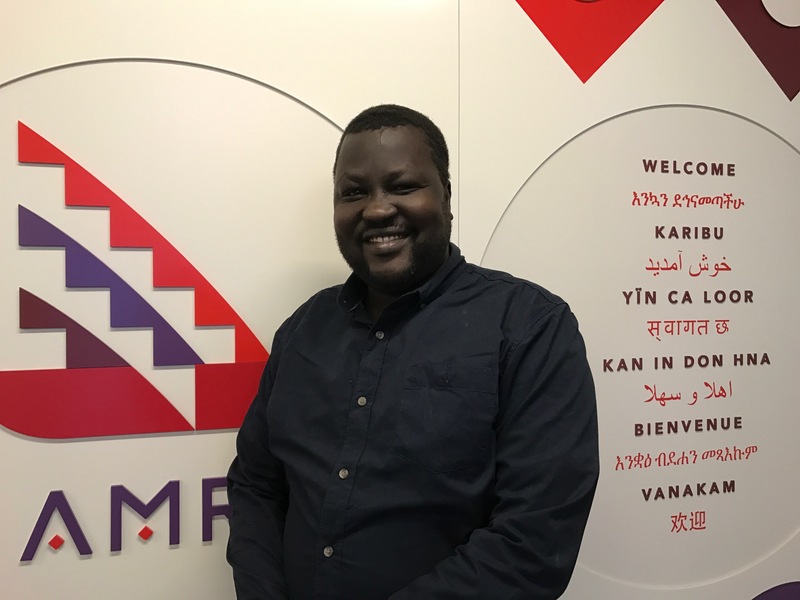 Makur Majak of South Sudanese background underwent a three month placement at the AMRC, whereby under the supervision of case managers, his role entailed supporting the airport reception of new arrivals, conducting orientation of their local area and the city, and assisting clients during the first tour to Murray Bridge Thomas Foods International. Mr Majak also presented at South Australian schools alongside volunteers and youth leaders, sharing his personal account of migration, settlement, challenges and achievements.